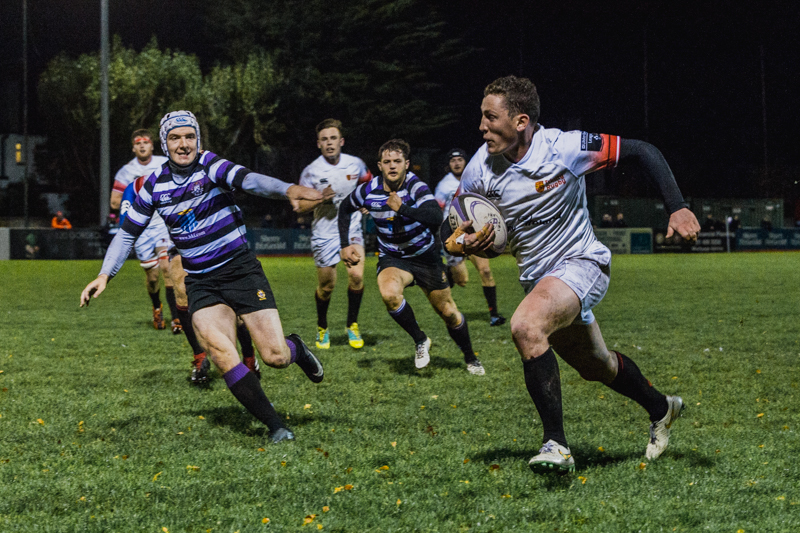 A 25-8 win over a struggling Terenure side last night puts Tony Smeeth's side third in Division 1A of the Ulster Bank League. On the hunt for a second consecutive league win, Dublin University Football Club (DUFC) would have been eyeing up last night’s fixture against Terenure in Lakelands Park. With the hosts hovering near the bottom of the table, it seemed the perfect opportunity to begin building momentum, and Trinity took full advantage, emerging with the spoils after a 25-8 win. Conditions were horrific in Terenure, the ball made slippy by the constant rainfall. DUFC showed their attacking impetus early on, a break from James Hickey nearly putting them in for their first try. Colm Hogan and Michael Silvester ran riot for a large part of the first half, causing Terenure plenty of problems. Despite this, Trinity’s first would come from the pack, Niall O’Riordan crashing over from a lineout to put the visitors up. James Fennelly tapped over the conversion to make it 7-0. With 10 minutes to go in the half, Fennelly added a penalty to this lead, and Terenure’s woes were not over yet. A peculiar sideways kick from Hogan opened up space for Trinity allowing Max Kearney to crash over for their second try. Fennelly was unable to convert, but DUFC looked comfortable at 15-0. Terenure looked brighter after the half-time break. They instantly put pressure on DUFC, forcing a yellow card for Bart Vermeulen. Terenure got their first points on the board courtesy of a penalty. Trinity, though, responded well, winning a penalty of their own to stretch the lead out once again. Captain Colm Hogan created the space for Trinity’s second try. After an entertaining first half, the game’s momentum stilled in the second, almost as though it was waiting for someone to make something happen. 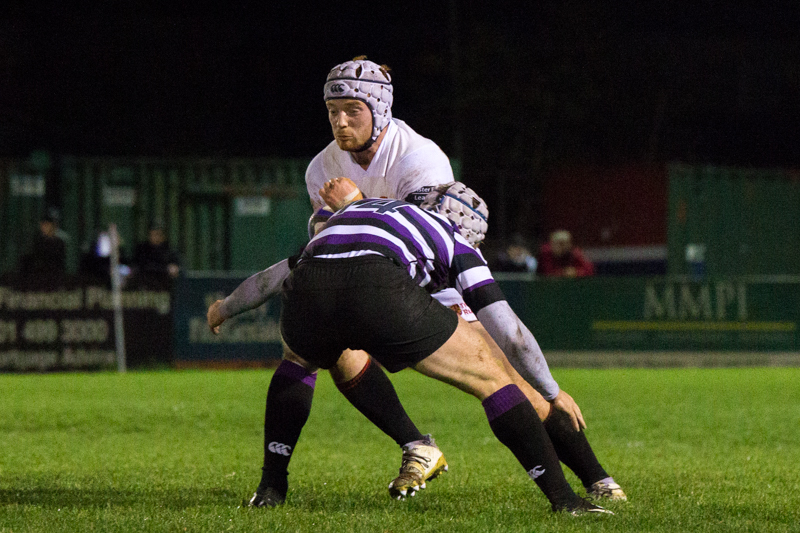 Jack Kelly was the one to spark life into the encounter once again when he dived over off the platform of a scrum, dragging two Terenure players along with him. A consolation tap-and-go try for the hosts was never going to be enough, and in the end DUFC went home with a win with which they can be very satisfied. After an opening to the season that was characterised by agonising near misses and defensive errors that robbed them of points, DUFC seem to have settled down and are looking a lot more clinical. Last night’s win puts them third in the table, a sight that will surely prompt a few smiles among Tony Smeeth’s charges.